Regardless of their size, all companies benefit from a high level of morale around the workplace. As an employer, it’s essential to realize that your employees are the backbone of the company, and when they take pride in where they work, they are, in turn, helping to promote the company’s efforts and positioning it as an attractive working environment. Ideally, you should work on boosting company morale from the start. Fortunately, it’s easier than you might think to do simple yet effective things that help all your employees feel like they are members of a very important team. The definition of roles is often necessary to boost personal morale. When someone feels that they are contributing to a company’s work in valuable ways, they’re more likely to come to work reliably, and do so with a good attitude. Also, roles help a person have a clear understanding of what is expected of them. However, be careful not to give someone the impression that they do not need to move beyond their assigned titles. A collaborative work environment exists when everyone is willing to go above the responsibilities suggested by their job description. To help people feel that they belong, consider making custom T-shirts among other similar team feeling things, with your company’s name, and the employee’s role printed on them. There are a number of creative ways that you can do this so that the attire is stylish, and also a way to gently spread the word about your company, particularly when someone wears the shirt in public. Events outside of the workplace are also a good way to help employees feel that they matter. In nice weather, consider renting a large empty outdoor space and hosting an old-fashioned field day. Sack races, horseshoes and corn hole are just a few of many of the activities that could encourage your employees to bond with each other. Think about breaking people into teams and letting them engage in some good spirited competition. This presents another opportunity for you to use custom designed T-shirts to promote solidarity. In many workplaces, issues exist because people get too familiar with the people in their own departments, and never feel compelled to branch out and meet people from other areas of the company. Informal events that take place off-site help those boundaries dissolve in a non-threatening way. Make a practice of rewarding employees for a job well done, too. Milestone recognition is one of the clearest ways to demonstrate that a person’s hard work has not gone unnoticed. Understandably, if people feel that all they do during the workday is not being spotted by superiors, morale can plummet around the entire workplace. A custom T-shirt is a great way to give a person a pat on the back for a job well done. Since it’s a gift that’s wearable, they can appreciate it for years to come, and conclude that they truly are an integral part of your company’s success. Don’t wait until there is a visible problem with workplace morale. Use the three ideas above to keep attitudes cheerful and productivity high. 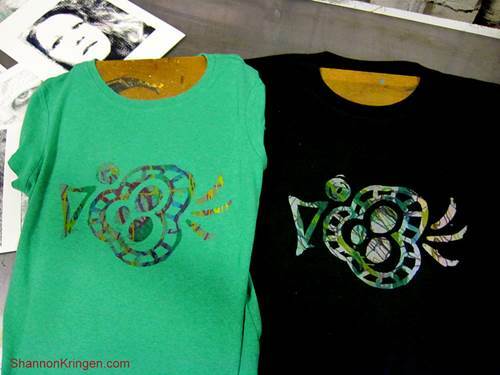 Jeanne Chaffee writes for tshirtprinting.org where you can get ideas for t-shirt printing.